NINE-DART superstar Phil Taylor completed a hat-trick of triumphs in the Coral Sydney Darts Masters with a memorable performance on Saturday night, landing a perfect leg against Peter Wright before sweeping past Adrian Lewis 11-4 in the final. Taylor's dominance of the PDC's World Series of Darts events in Australia continued as he followed up last week's second successive Perth Darts Masters triumph with his third straight win in Sydney. 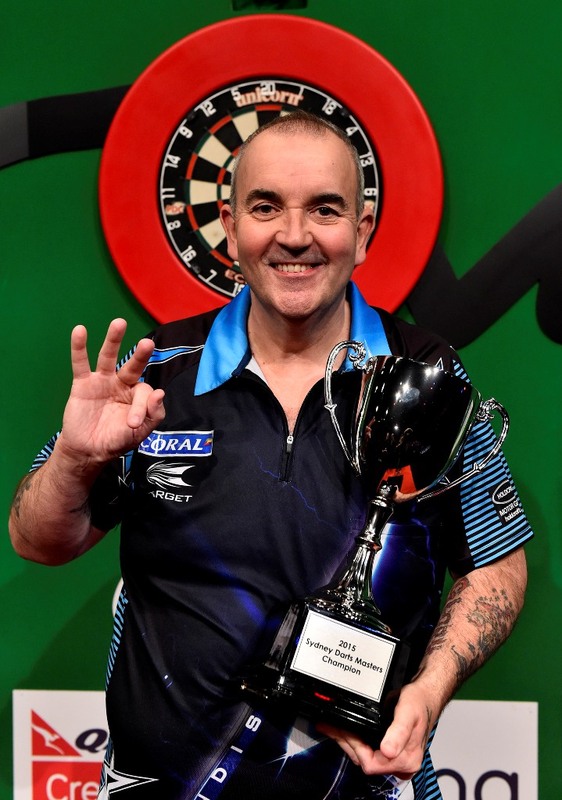 The victory extends his winning streak in Australia to 20 matches since 2013, and another historic night for the 16-time World Champion also saw him hit the first televised nine-darter in the country. 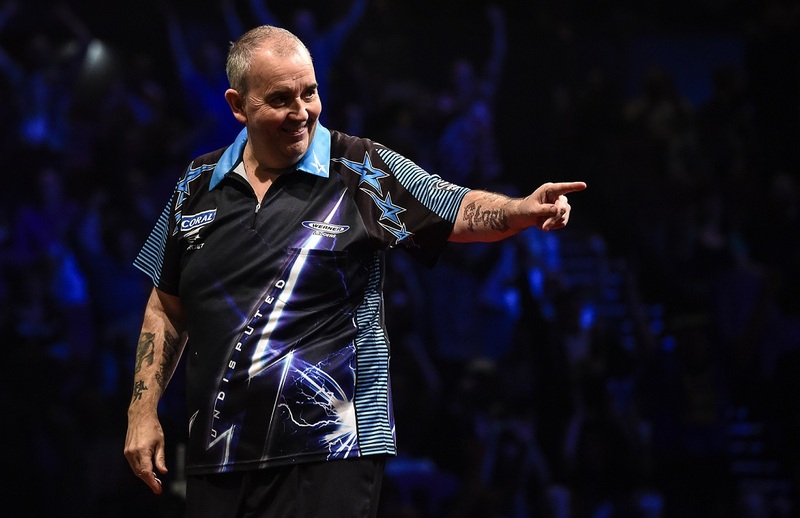 Taylor's perfect leg was the first since the PDC's World Series of Darts was introduced in 2013, and also his 11th in a televised game as he secured another slice of glory to add to his glittering roll of honour. 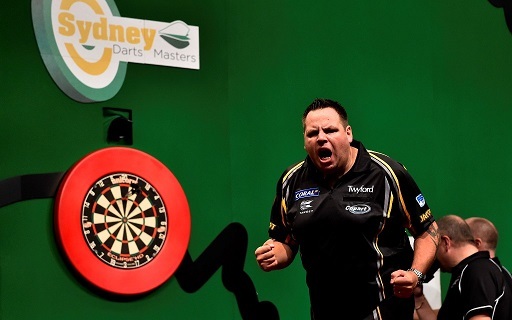 While players on Australia's domestic circuit, including Kyle Anderson, have achieved nine-dart finishes previously, Taylor's minute of brilliance was the first on TV in the country as he delighted the Qantas Credit Union Arena crowd. The nine-darter also came as Taylor booked his place in the final of the Sydney Darts Masters, seeing off Wright in fine style to remain on course for a third successive title. He then stormed past Stoke rival Lewis with an imperious showing in the final to lift the trophy for a third straight year in Sydney, dropping only three legs a he took the title. "I'm over the moon to have won this again," said Taylor. "I love it in Sydney and I'm a very proud man, and a very lucky man, to be a part of this event. The nine-darter was great and a very special moment for me. It's a wonderful achievement and I'm always proud to hit a nine-darter - but I've also got to remember that it's just one leg and it didn't win me the match. Peter came back at me after that so I couldn't celebrate for too long, but it's great to have hit another nine-dart finish, especially for it to be the first on TV in Australia. I can't wait for Auckland next week now because I'm loving every minute of it at the moment." 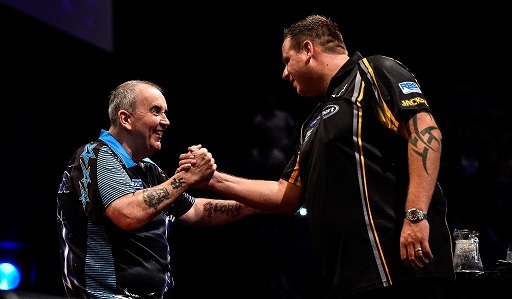 Taylor added: "Adrian didn't perform like he can do in the final, but I think his semi-final took a lot out of him. It's more experience for him and he'll be in a lot more finals in years to come. His 167 in the semi-final was absolutely brilliant and it won him the game. It was as good as Peter Wright's 141 against Michael van Gerwen to win the semi-final in Japan but it took a lot out of him." Although Taylor took the final's opening leg in 13 darts, Lewis landed a 171 score which was followed in leg two with a 180 as he levelled with an 11-dart finish. That, though, was as good as it got for Lewis as Taylor hit maximums in the next two legs to move 3-1 up, finished 92 in leg five and defied 180s from the world number five in successive legs to move 6-1 up. Taylor then punished misses from Lewis as he took his streak to seven straight legs as he moved 8-1 up, with the two-time World Champion hitting a fourth 180 before finally hitting back, on double eight. A 96 checkout from Taylor was followed by a maximum in leg 12 as Lewis posted double six to pull back to 9-3, but a miss at double 18 was punished by the 55-year-old on double two as he moved to the brink of a victory which was sealed in style with another maximum and a 97 checkout. "After the previous three rounds, where every game went the full distance, when it came to the final I was trying to push and push but I had nothing else to give," said Lewis. "Playing Barney in the semis took a lot out of me, and the harder I tried the worse I got, and Phil took full advantage. I've said it before and I'll say it again; there'll never be another Phil Taylor." Perhaps the only nervous moments for Taylor on the night came at the start of his semi-final, when Wright finished 62 to break and then landed double two to move 2-0 up in a fine opening to the clash. The game, though, turned in the next two legs as Wright twice missed the bullseye, seeing a potential 4-0 lead disappear as Taylor landed a pair of double top finishes to level the game. A fourth 180 of the game from Taylor helped him to hit the front as he won leg five on double 12, before taking out 95 and 130 in the next two legs to suddenly pull clear at 5-2. Taylor then set up a slice of history by opening leg eight with two 180s before finishing 141 with another treble 20, treble 19 and double 12 to complete his perfect leg. Having celebrated the achievement, Taylor then took out 84 on double six to move 7-2 up, only for Wright to finish 80 on tops to win his first leg in eight and then take out double six and tops once more to reduce the gap to 7-5. Taylor edged towards victory by sharing the next four legs, with Wright posting a pair of double 18 finishes to stay in the hunt at 9-7, but the 16-time World Champion was too strong in the next as double ten sealed his spot in the final. Adrian Lewis sealed his spot in the decider with another nailbiting deciding-leg victory, as he edged past Raymond van Barneveld 10-9 in a see-saw contest - as he followed up his narrow wins over Simon Whitlock and Gary Anderson with another game which went the full distance. A brace of 96 checkouts gave van Barneveld a 2-0 lead, only for Lewis to hit back strongly by winning the next four without reply to move ahead. Van Barneveld regained his range on the doubles to respond on double ten, before two tops checkouts saw Lewis move 6-3 up. Four misses in the next leg allowed van Barneveld back in, with double 16 giving him two successive legs to pull back to 6-5 before Lewis regained breathing space on tops. 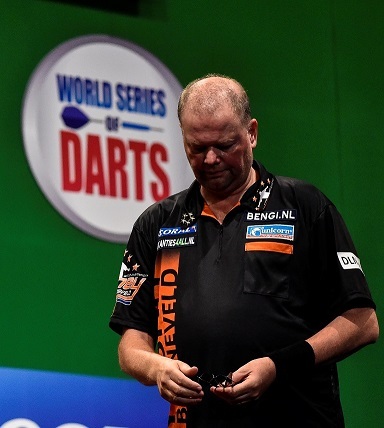 Van Barneveld took out 91 before double four put Lewis 8-6 up - only for the Dutchman to find another gear with back-to-back 14-darters to level and double eight to move back ahead at 9-8 following three missed doubles from his rival. Lewis, though, produced a stunning 167 finish to level and force a deciding leg, in which he hit a 140 and a 180 before posting double five to seal his place in a first World Series of Darts final.